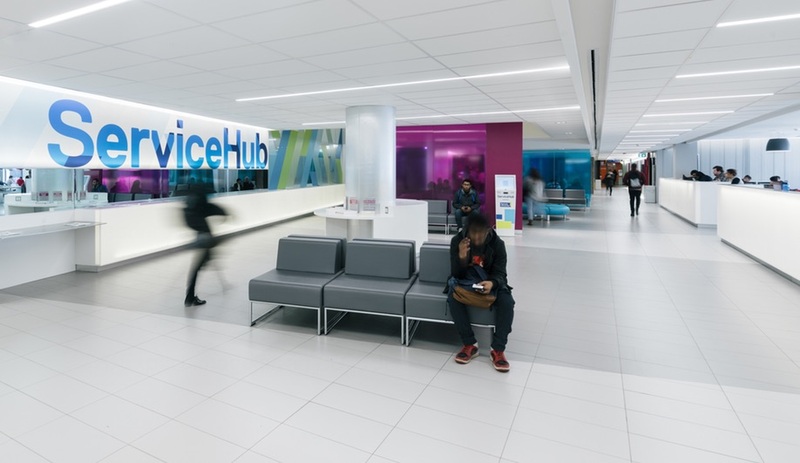 Ryerson’s ServiceHub, which replaces a dingy Brutalist cafeteria, consolidates all the university’s administrative functions in a bright, airy and organized core. 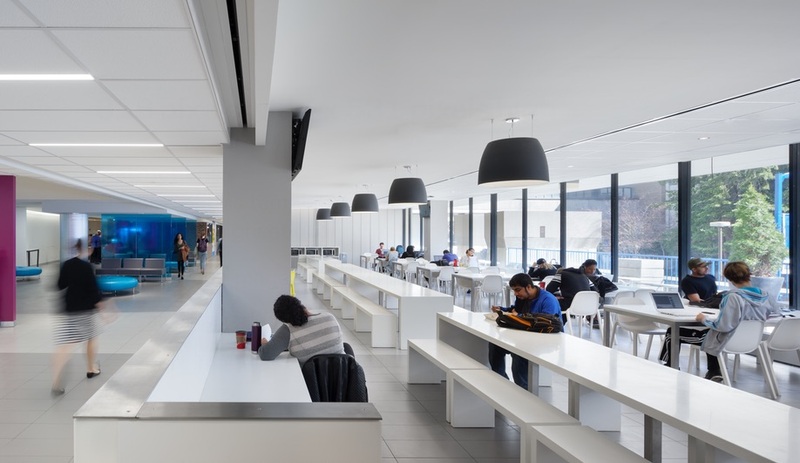 When local firm Gow Hastings Architects was asked to update an underused cafeteria inside a building on Toronto’s Ryerson University campus, they knew they had to begin with a clean slate. 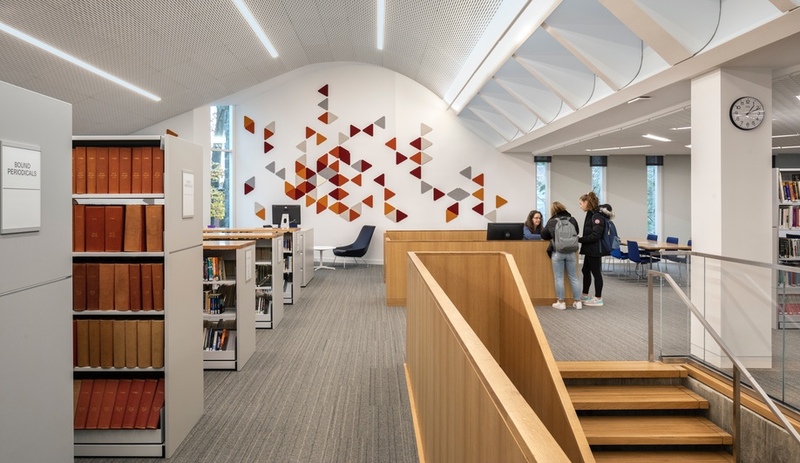 The 1,210-square-metre space, like the 1970s Brutalist it occupied, was dark, heavy, and dated-looking – not to mention ill-equipped to handle the needs of the university’s ever-growing student body. 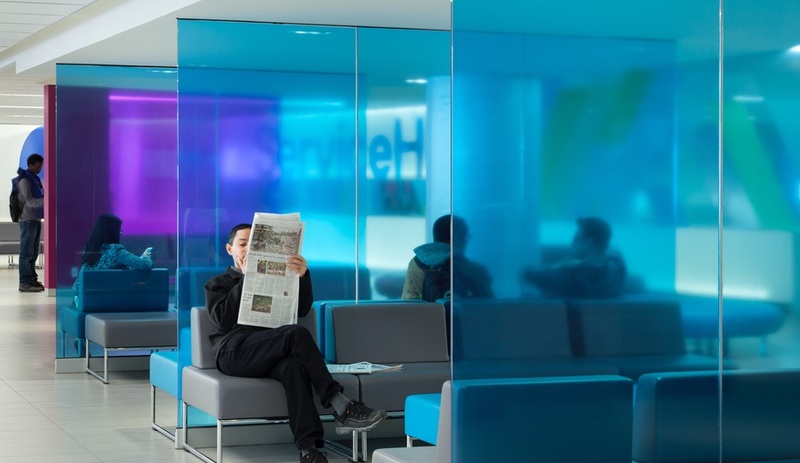 Today, the space is unrecognizable. 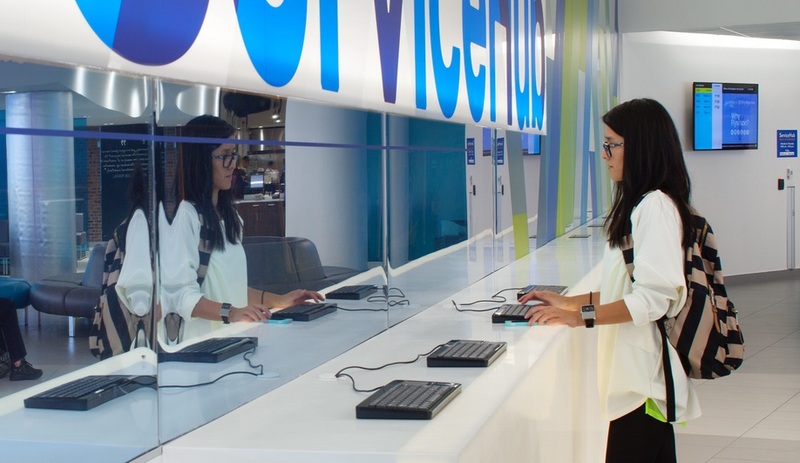 The new ServiceHub combines all the administrative needs of student registration and financial services into a single “one-stop shopping” location, which is also the students’ first point of contact with the university. 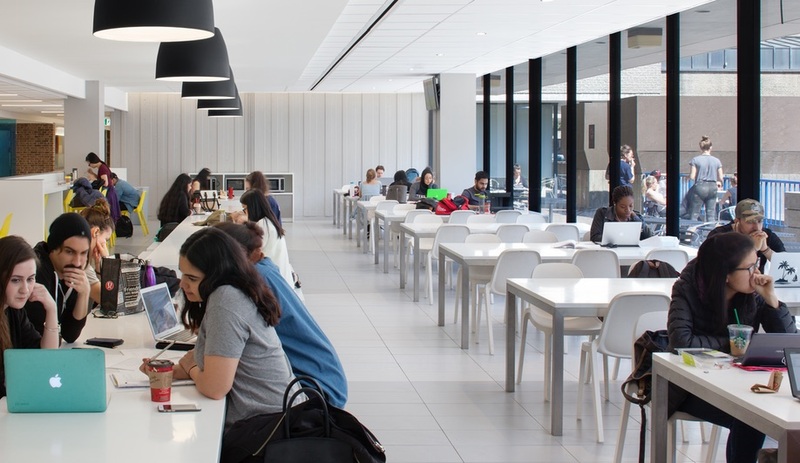 And while the function of the space has been transformed, so has the look: gone is the oppressive grey concrete, replaced with an airy, dynamic and welcoming space more on-brand with Ryerson’s position as a leading Canadian institution. 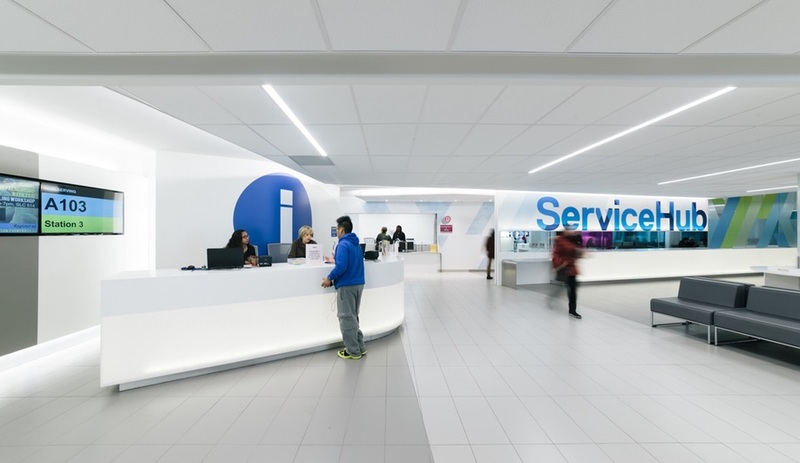 Re-ordering the ServiceHub, the team introduced elements to make the space scalable and spacious, with a bold and modern look. Backlit touchdown bars, all-white surfaces and high-contrast lighting set off a flexible lounge area with custom tech-enabled furnishings, including Corian bars, tabletops, counters and wall panels, as well as flexible systems of movable desks, which can easily be stowed away in cabinets, reconfiguring to adapt to the ebb and flow of administrative demands over the course of the school year. 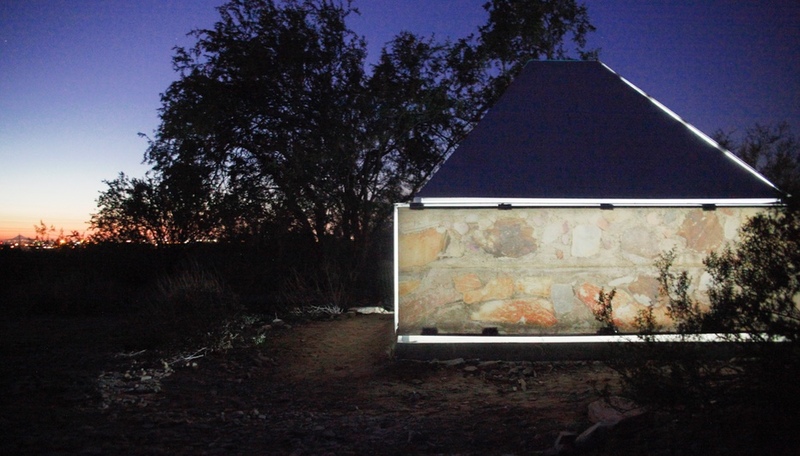 Along a perimeter wall are computer terminals with near-invisible monitors hidden behind mirrored glass. 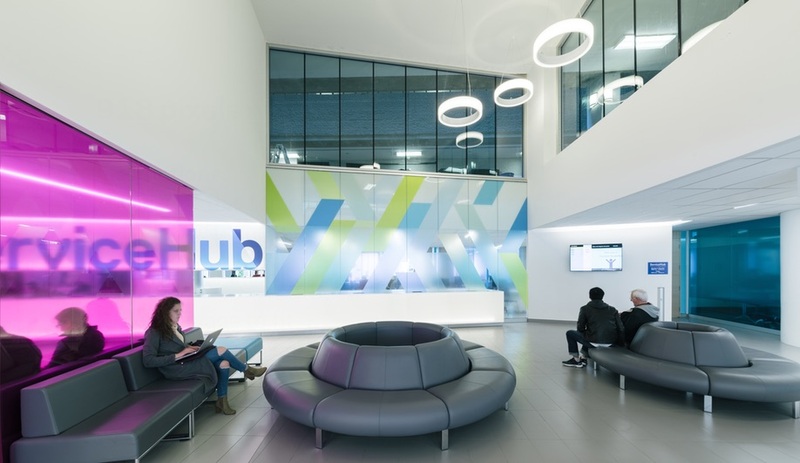 Most striking of all are the strong, colourful graphics that define the space, popping against the nearly all-white background. 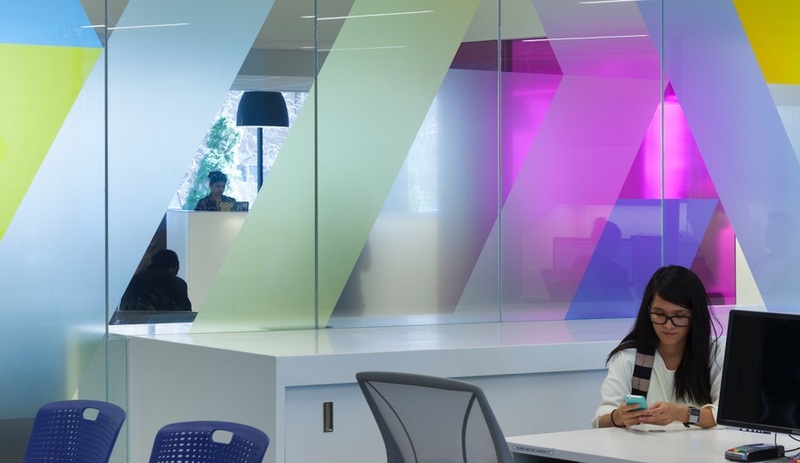 These jewel-toned translucent screens in dynamic, geometric shapes and bold, over-sized typographic elements evoke the kind of high-tech retail environment or coffee shop built around the changing social expectations o today’s wired student body. 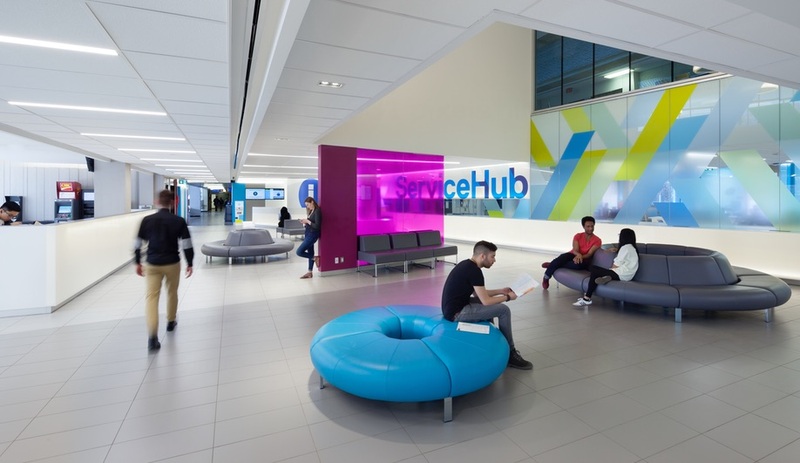 Besides enlivening the space, these graphics serve as wayfinding, organizing students into the ServiceHub’s zones: front-line reception, administration, lounge seating, and informal gathering spaces for dining or gathering in groups. 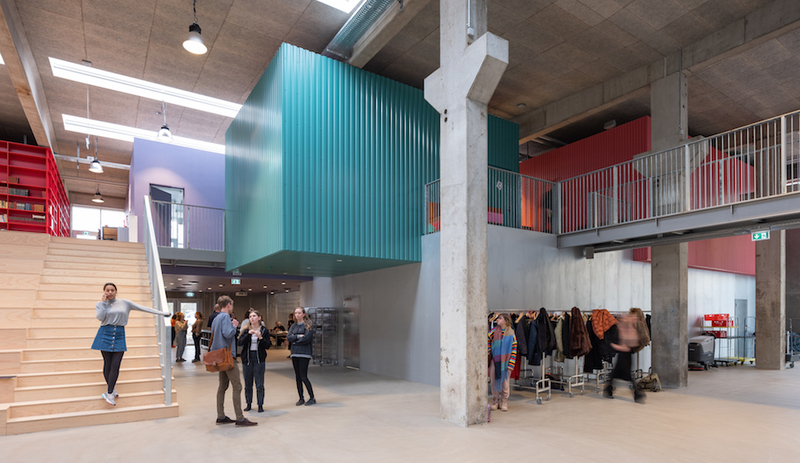 In areas where the new spaces merge with the structure’s pre-existing interiors, board-formed concrete – previously left raw – has been painted white, softening the transition between the two spaces. 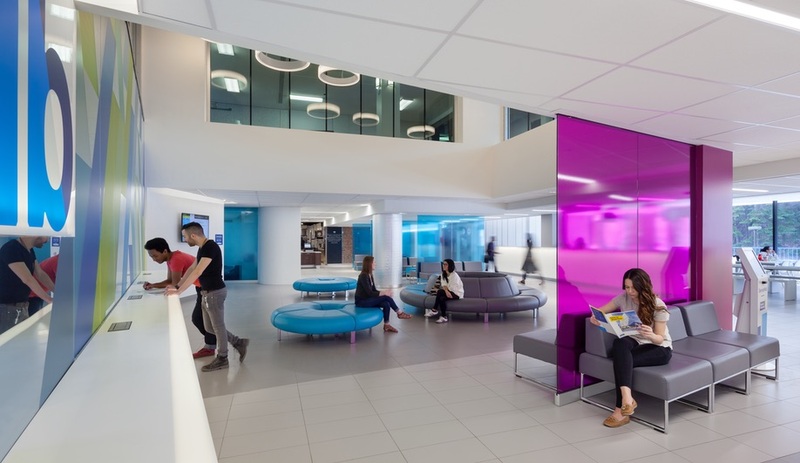 The result is a bright, organized and future-forward oasis for receiving students. 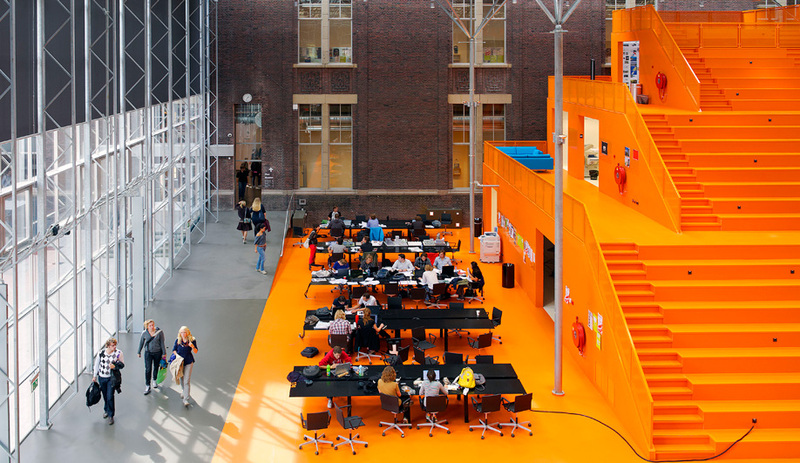 And unlike its predecessor, it’s a space that students actually want to use.